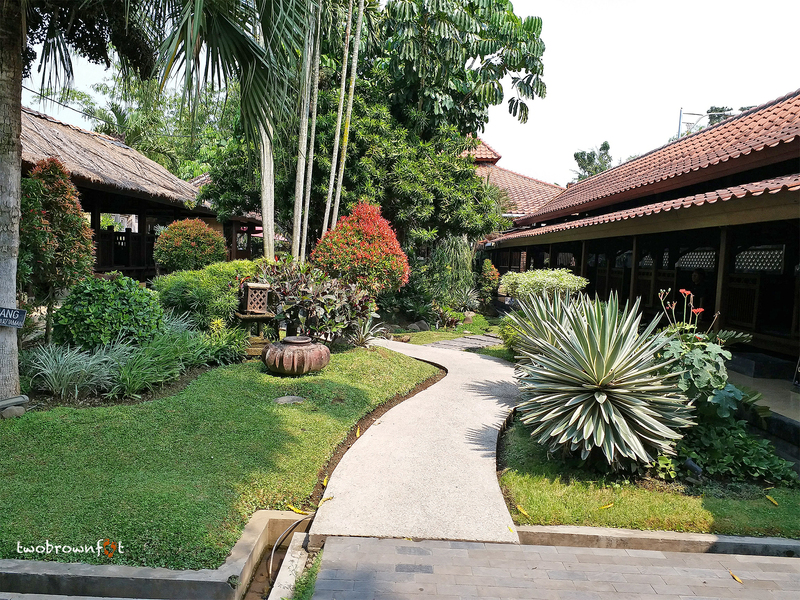 Our hotel in Yogyakarta was about 15 minutes away from the railway station. The entrance to the station was buzzing with foreign tourists, their guides, and few locals. There’s a ticket and passport check at the entrance, but surprisingly the security check isn’t very strict. It’s preferable to carry only a handbag or a small suitcase for the trip. 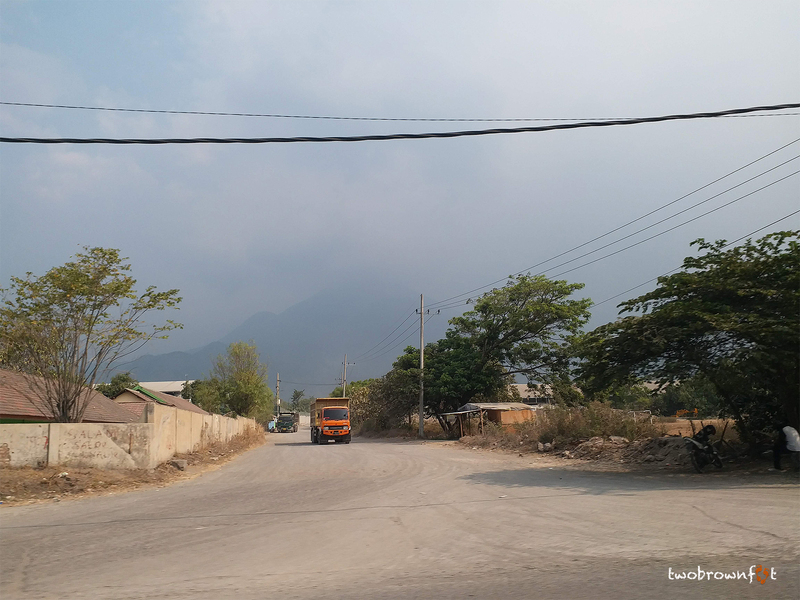 We had packed our suitcase (on the previous night) and sent it along with the driver (Supree) who would meet us directly at Jombang. 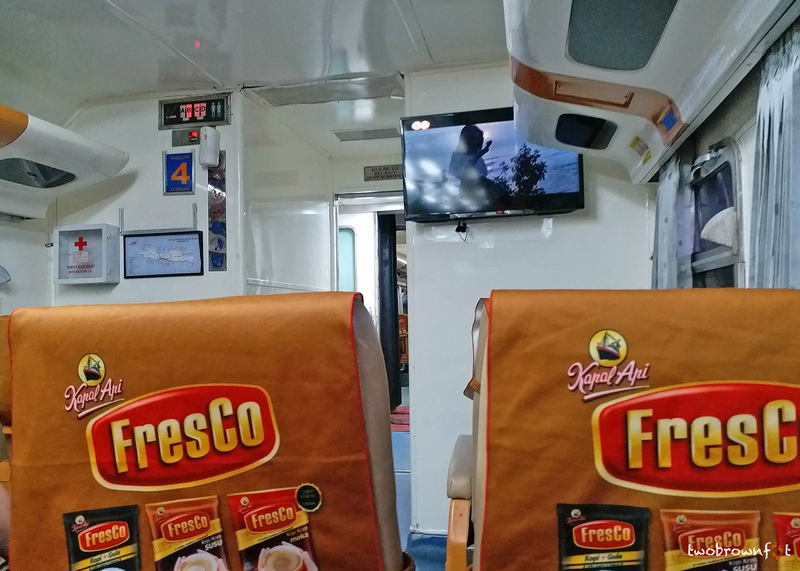 Our train departed at 6:45 a.m. and was pretty comfortable with the air-conditioning and ample leg room. 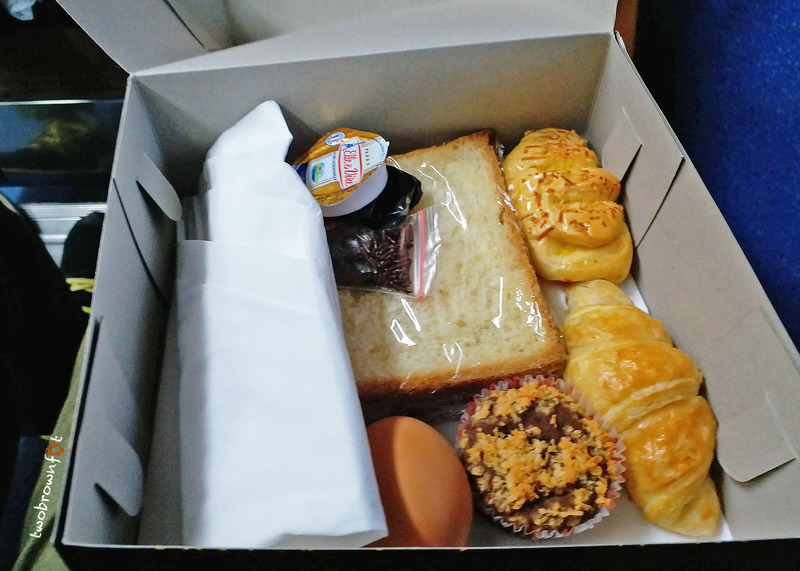 The hotel had packed breakfast for us and we had to sit back and enjoy the ride. Once the train started chugging along, city views melted into the rustic countryside. Volcanic mountains rose in the distance and disappeared behind pockets of clouds. Occasionally, we’d pass by a small town settlement with clusters of sloping rooftops, or a packed railway crossing. The fields that spread across the plains were in different stages of development and were largely deserted. Sometimes, we’d spot farmers tilling their fields in the morning sun. The contrast between our lives and theirs couldn’t be more pronounced. Here we were, sitting in a comfortable train, enjoying the sights around us, whilst they bent their backs in the heat and got their hands dirty in the mud. You begin to appreciate the effort put by these people who feed an entire country and yet, are probably the least appreciated. 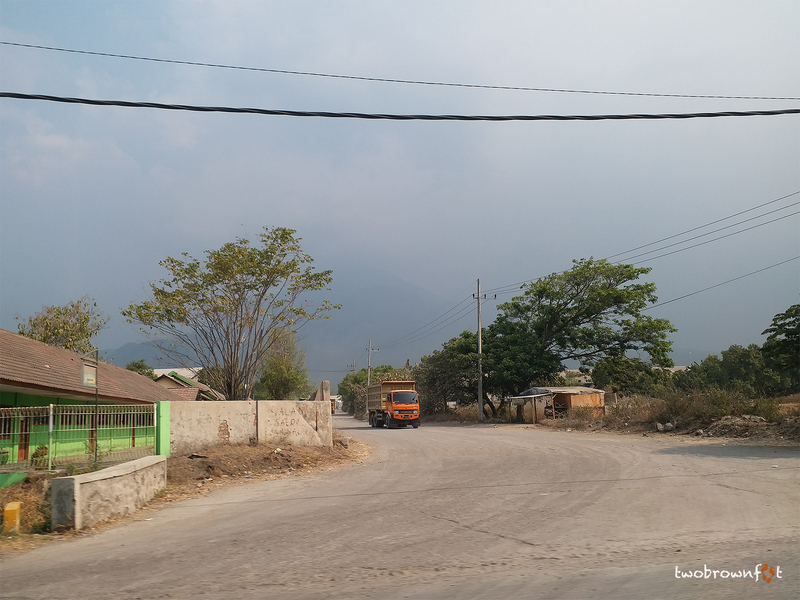 It took us about 4 hours to reach Jombang. The sun was out and the heat was more excruciating after the pleasant train ride. 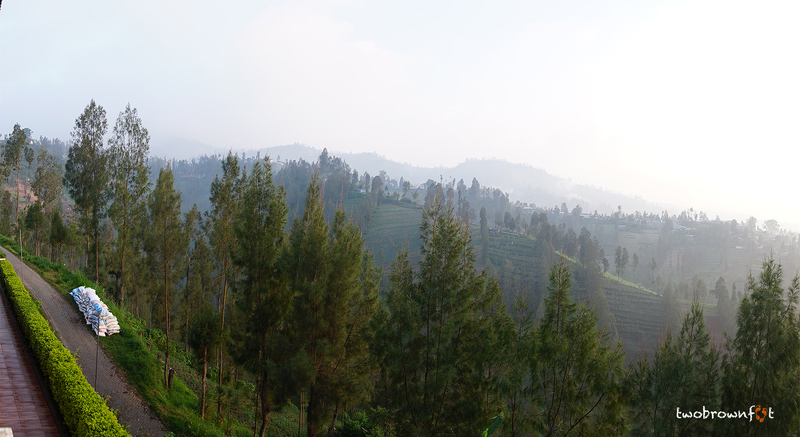 Most foreign tourists broke their journey to Mount Bromo here. Supree was waiting for us outside the train station and was cheerful despite driving on the previous night. Basil picked up coffees and we were all set to go. It was the third day of the trip and everyone was in high spirits. Eko, our guide, was quite chatty and Basil joined in the conversation for a change. That gave me an opportunity to look out of the window. Jombang looked like a pretty town (in the comfort of an air-conditioned car) with gardens and interesting (Chinese) Buddhist temples. 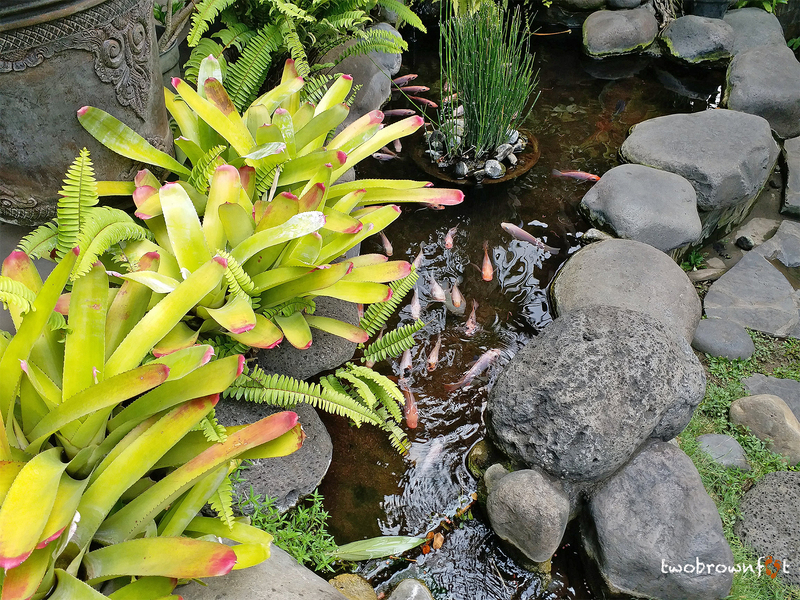 According to Eko, the Chinese-Indonesians were amongst the richest in the country. They worked incredibly hard and believed in saving money for the future — unlike the rest. Most of the local businessmen were of Chinese ethnicity. Was there a hint of resentment or jealousy in his voice? Perhaps, I was overanalysing him. In Yogyakarta (a special province), his home city, the Chinese weren’t allowed to own property. According to him, this decree was passed because Indonesians had suffered a difficult experience with successive colonisation and it all began by trusting foreigners. They didn’t want to repeat their mistake again. That’s when I realised: diversity can be alluring for an outsider, but its complexity can keep a nation from being truly united. 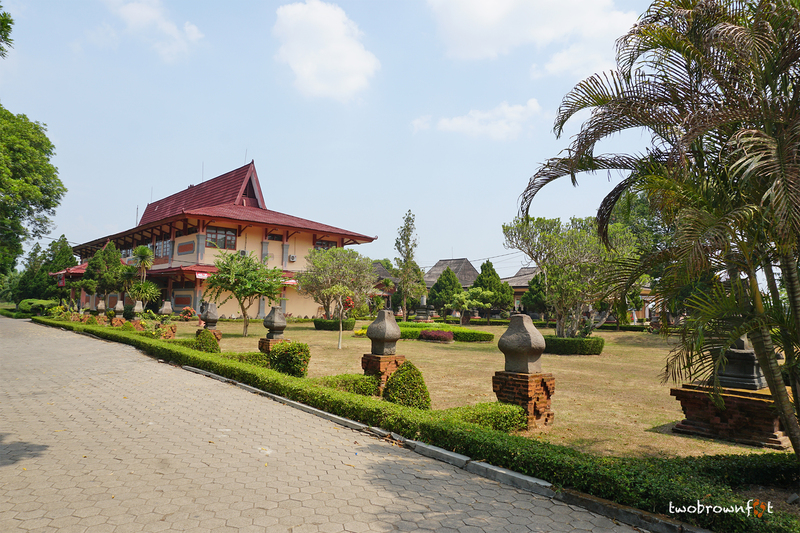 Trowulan is the site of the ancient capital city of the Majapahit Kingdom. This powerful dynasty, during the Hindu-Buddha period, was believed to have ruled Java between 1200 and 1500. References of the origin of the Majapahit Dynasty and its fabled capital are found in local Javanese poems as well as Chinese texts. Although, historians have found it hard to separate fact from mythology on the basis of these ancient texts. 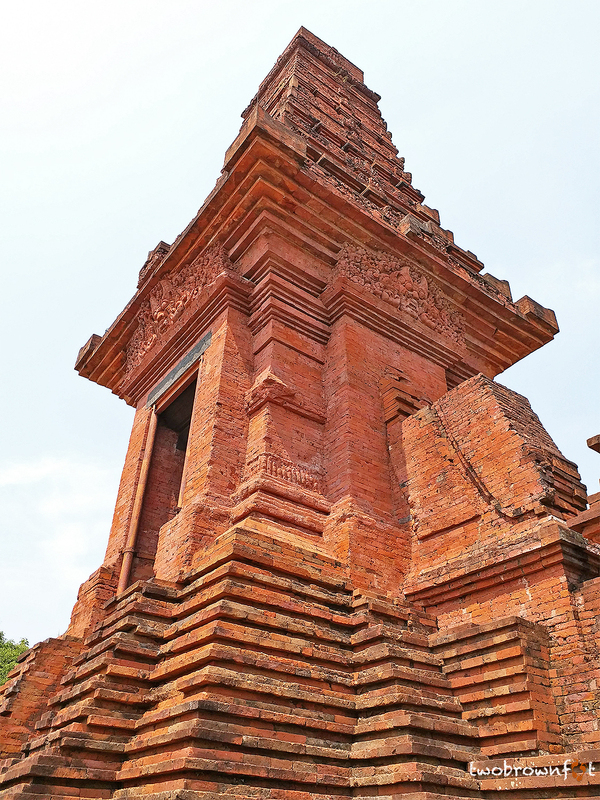 Trowulan lost prominence after a defeat and was shifted to another location. The former capital city along with its palaces, temples, baths, and gates went into ruin. 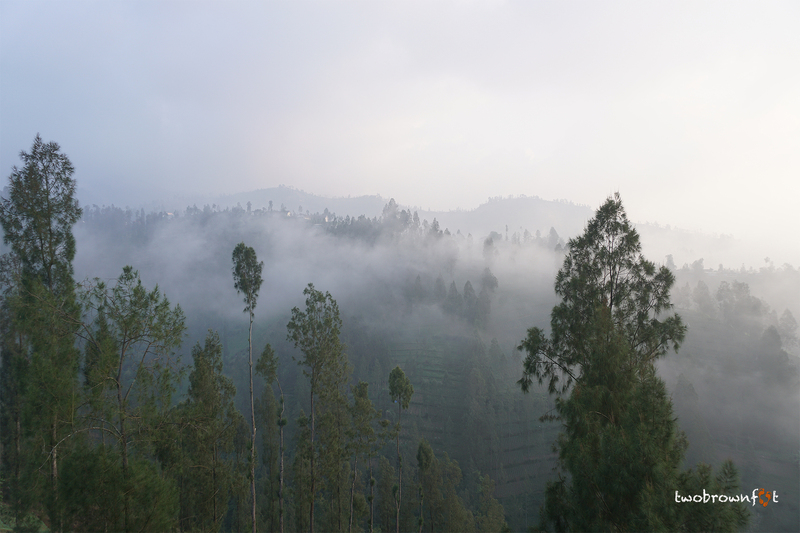 The glorious capital was eventually engulfed by the forest — until its discovery — in the 19th Century by British Lieutenant-Governor, Sir Thomas Raffles. We reached our first stop in 20 minutes. 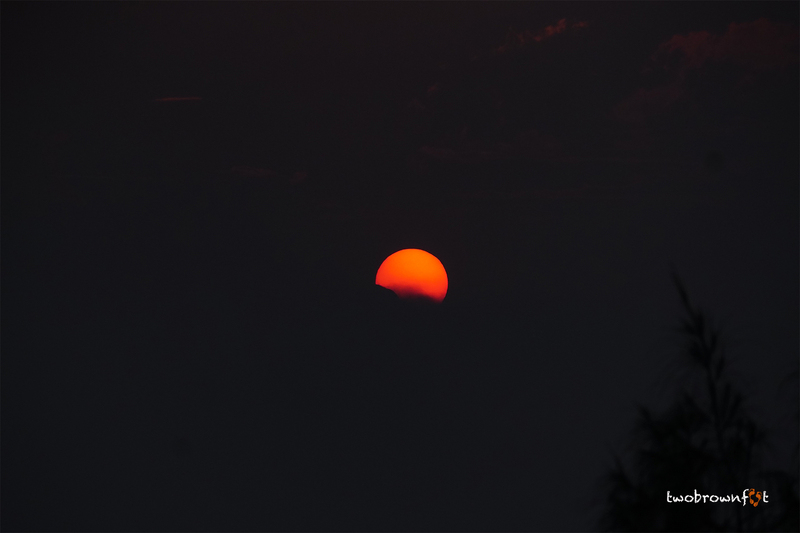 It was nearing noon and the sun was shining brightly. 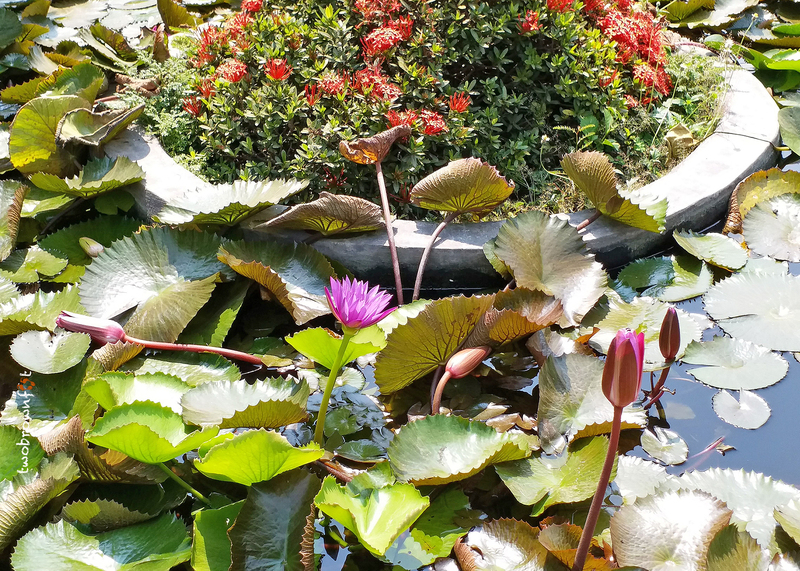 The pond, at the entrance, had pretty water lilies. 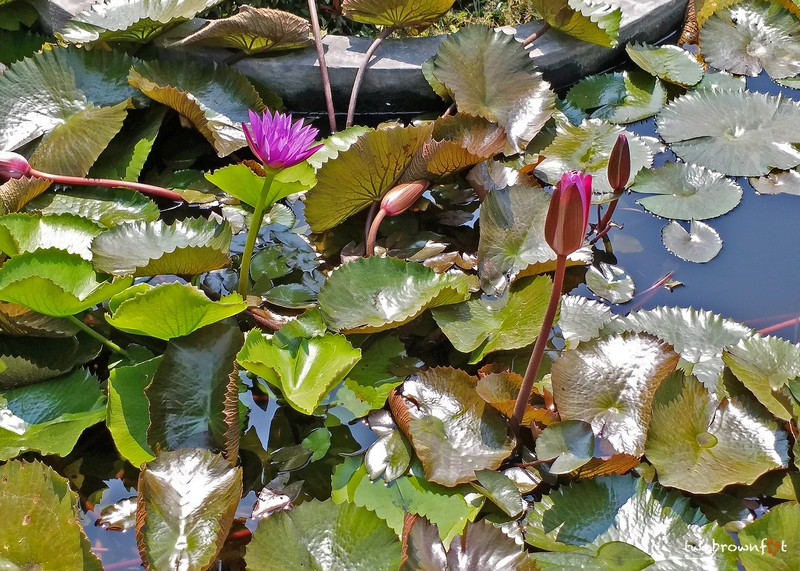 I hadn’t seen water lilies since Bogor. 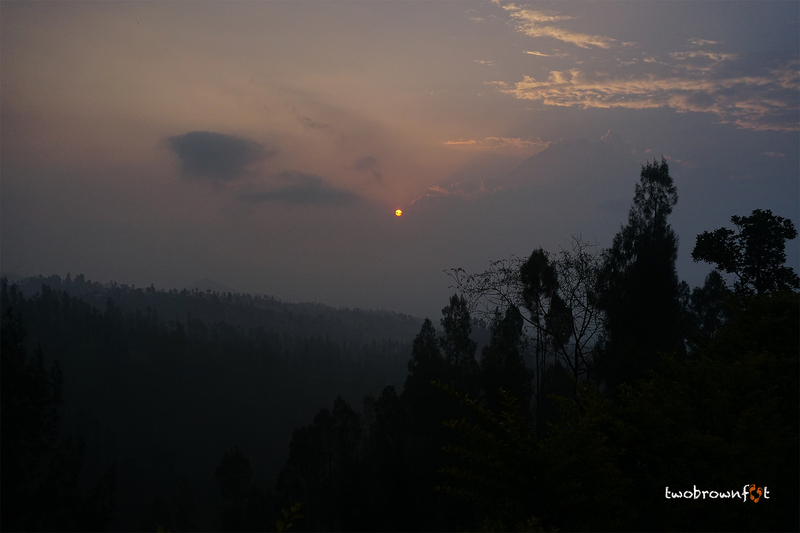 The sun lit up the red bricks of Candi Bajrang Rutu. This structure was built in the mid-14th century and is believed to be a prominent entrance gate of the Kingdom. The fierce face of Batara Kala, a demon god in Indonesian mythology, is etched above every doorway of the structure. Kala is believed to have an insatiable appetite and devours celestial objects as well as unsuspecting humans. 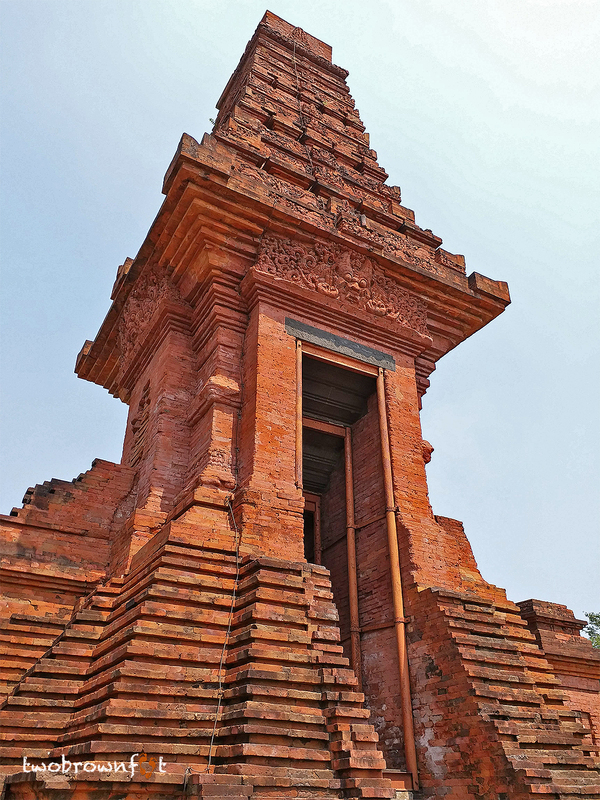 Many Indonesian temples have the face of Kala etched above entry doorways. The lawns of the monument were well maintained, but without significant tree cover it was unbearably hot. These archaeological gems are scattered around a nondescript town or village. It was a lazy Sunday afternoon and we attracted few curious glances from the locals. 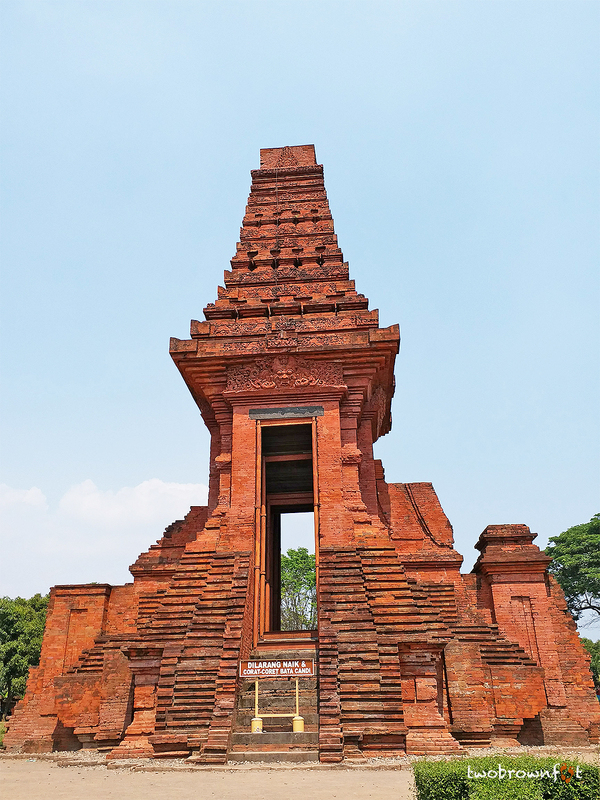 Outside the gates — of a carefully preserved piece of Indonesian history — development had stagnated. There was a striking contrast between the amount of attention being paid to the past whilst ignoring the present. It felt like two different worlds and the gates were portals between the two. Candis Tikus was around 10 minutes (by car) away from the previous site. Honestly, I didn’t want to get out of the car. Temple fatigue was slowly taking over and the heat didn’t really help. Fortunately, there were few trees at the far end of the archaeological site. 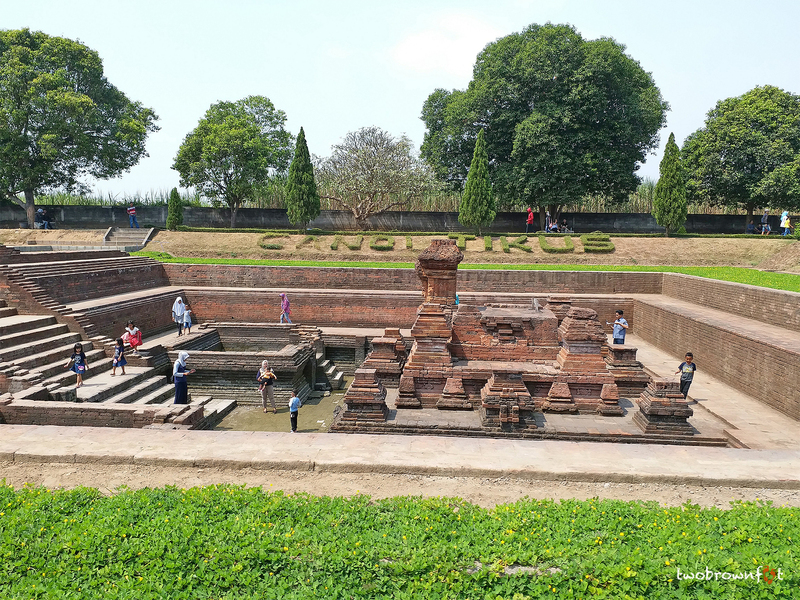 Candis Tikus was a ritual bathing pool in the ancient kingdom. Tikus translates as ‘rat’ and the site got its name because of the rat infestation found upon excavation. Looking at the ruins of this mighty Kingdom, Basil pondered upon our perpetual need to leave our mark behind. How futile it is when you look at the mightiest empires leaving only mere glimpses of their life. The Archaeological Museum is a definitive place to get a detailed account on the ancient Kingdom, its artefacts, and history. Unfortunately, like most Indonesian museums, it isn’t air-conditioned. Our attention span had hit an all-time low and we whizzed past most exhibits. Eko seemed a little disappointed because I had stopped asking questions and we finished the whole museum in about 20 minutes. Lunch was in an oasis in the middle of nowhere. I was happy to have a break from the sightseeing and just sit back and relax. 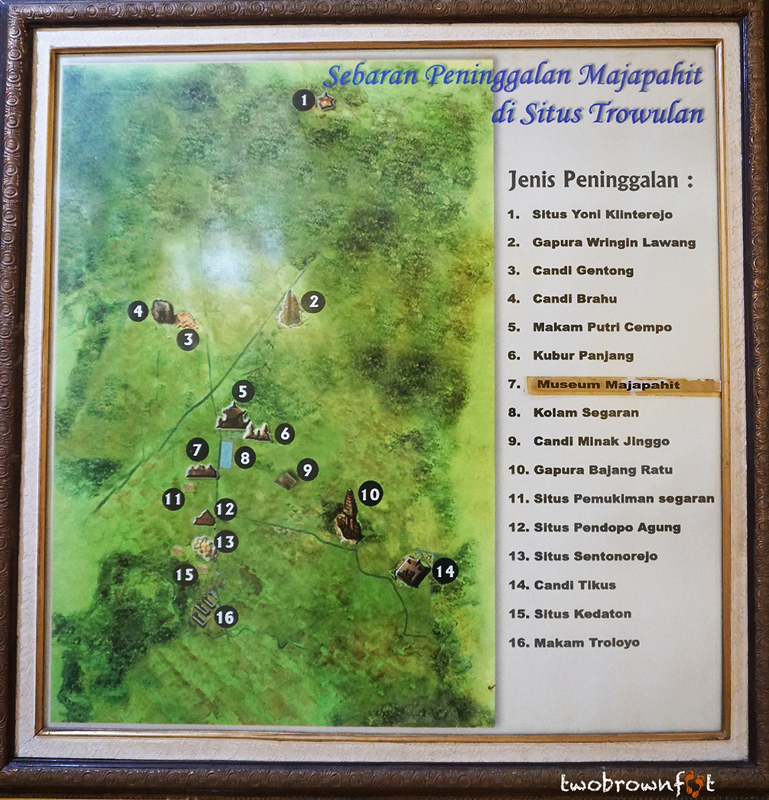 The journey from Trowulan to Tosari would take about 4 hours. We didn’t have much to do now and we used this opportunity to get some sleep. Between dreams and reality, the view outside the window quickly changed from nondescript towns to deserted roads. 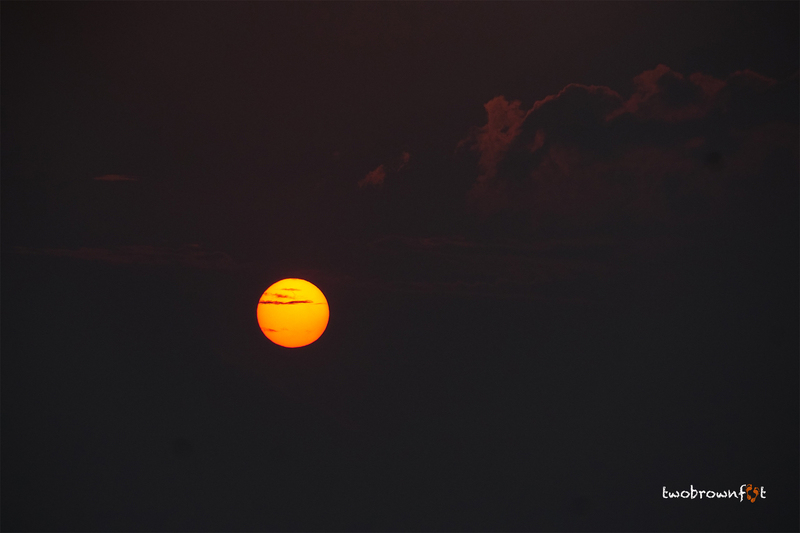 By evening, the sky changed colour and grey clouds took over. The last stretch to the top of the mountain town was especially scary with winding turns and lashing rain. Interspersed between raindrops on the window and the grey sky were lush green fields. Supree and Eko struggled to find the route to Bromo Cottages. I wouldn’t blame them. It was a narrow mountain road and directions were scarce. Few helpful locals showed them the way and I was happy to reach our destination after the long ride. 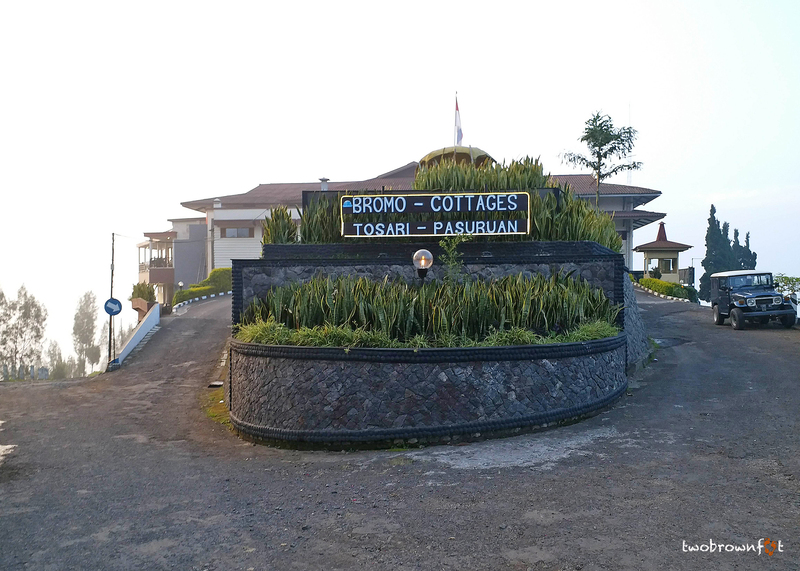 Bromo cottages isn’t the first choice for most travellers because it’s further away from Mount Bromo. But, I liked the quaint wooden cottages nestled along the terraced steps of the mountain. Supree took our suitcase and would meet us, on the other side, in the morning. At about 1870m (6135feet), the view from the top was stunning. The altitude change caused laboured breathing while we walked around. We got accustomed to the air after spending more time outside. 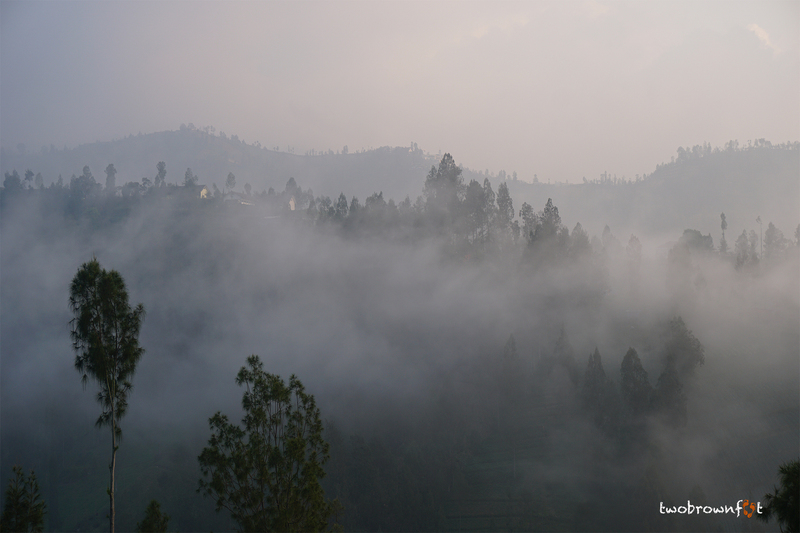 As time passed, fog slowly crept over the undulating peaks of the Tengger Mountain Range. It started to get cooler and the fresh air was calming. There wasn’t much to do after sunset. We had an early dinner and decided to sleep by 9:00 p.m., after taking one last look at the night sky. 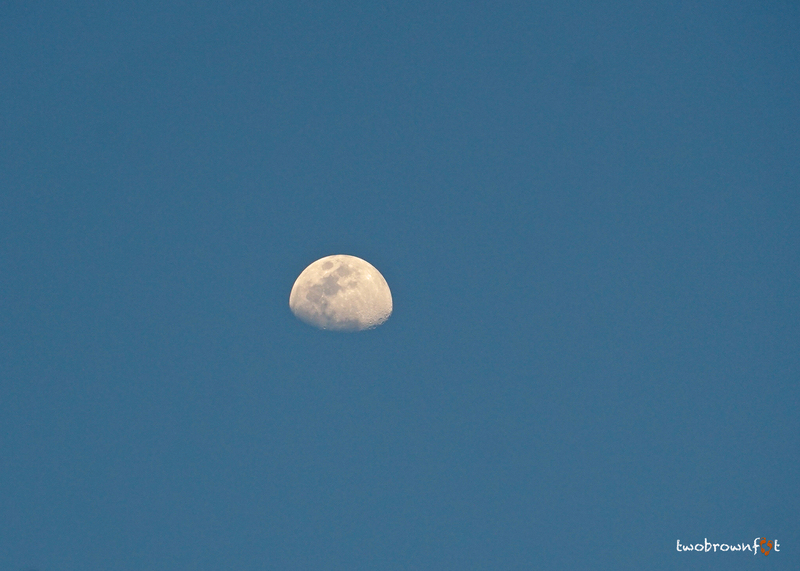 The moon was out and the stars had taken over the dark sky (not in pic). In the distance, we heard the sound of soothing prayer chants. We couldn’t wait for the Milky Way because we had to wake up by 2:00 a.m. to make it in time for sunrise over Mount Bromo. This sounds like it was a great tour. You did a great job of the moon pics and the reflections on monuments. I can picture your trip so easily with your descriptions. This looks amazing! I definitely need to go back to Indonesia! I’m a sucker for sunsets. 🙂 🙂 Extraordinary what’s out there, Cheryl! What a great tour! Loving these Indonesia posts, can’t wait to go someday. You should add it to your list. I have a feeling you (and Domingos) with love it!